Blue skies, a new base building, perfect snow and the best opening conditions seen for over six years, made for an incredible first day at The Remarkables ski area today (Saturday June 27). Hundreds of people headed up the mountain for the start of the 2015 season, stepping into the striking new base building for the very first time. Reaction to the state-of-the-art new building has been overwhelmingly positive, with the look on people’s faces telling the story. “The place is buzzing with a tremendous amount of energy created by happy skiers and snowboarders,” said ski area manager Ross Lawrence. 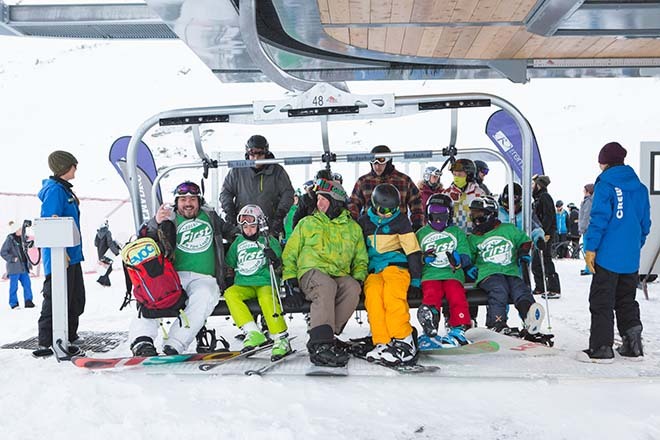 The first six on the Curvey chair included four members of the Gaboda family from Arrowtown, Brazilian language student Eneas Scabello and 11 year old Alex Thomson from Jack’s Point. They were thrilled to get coveted ‘first on the chair’ status, bagging a T-shirt and the right to first tracks on the mountain. Eneas, first to arrive in line after a chilly 7am start, said he’d been determined to get the T-shirt and get up there. “I can’t wait, it just looks amazing,” he said. After their first run, Arrowtown Dad Paul Gaboda said he and his three children had had an “excellent” run on the Curvey trail. The crowd was in high spirits as corks popped and bubbles flowed with Mr Lawrence welcoming them to The Remarkables. Calling it the best season opening in recent years, he was beaming from ear to ear. 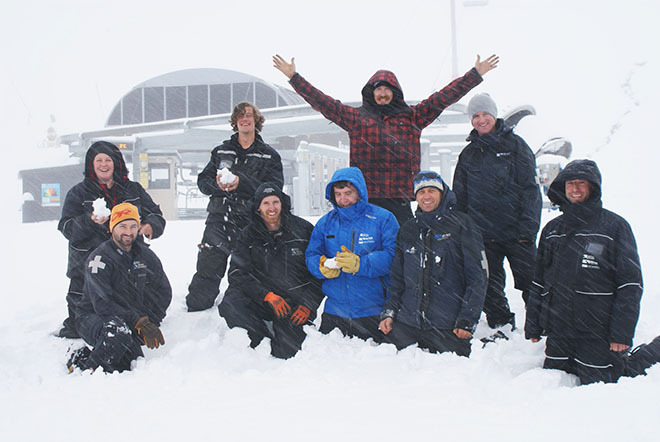 “Great snow cover and good weather makes for fantastic times at The Remarkables,” he said. Mr Lawrence said 10cm of fresh powder which fell last night had been the “icing on the cake” for the ski area which has opened with 1.15m of snow on the trails and wall-to-wall skiing on and off piste. The ski area celebrated opening with a fun family day with entertainment, face painting, yummy giveaways and balloons for the youngsters. Around 1,500 skiers and snowboarders were on the mountain today. The new base building at The Remarkables is part of a substantial $45m investment at the ski area which also includes the new Curvey Basin chairlift, road re-alignment and sealing, trail developments, expansion of the snow-making system, and extended car parking. 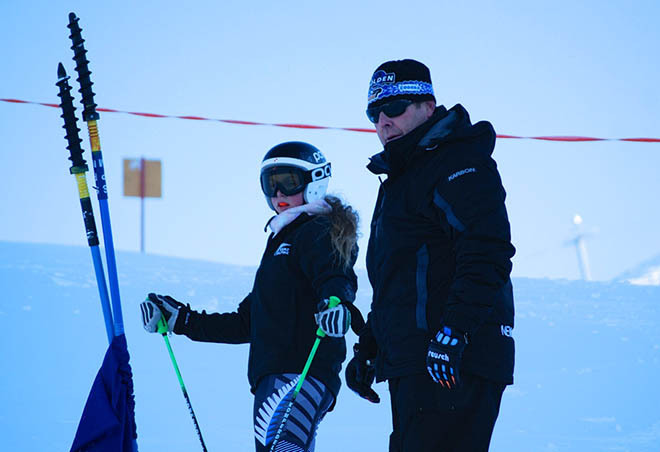 NZSki CEO Paul Anderson said he was delighted to see the most substantial ski area investment made in the Southern Lakes area come to life. 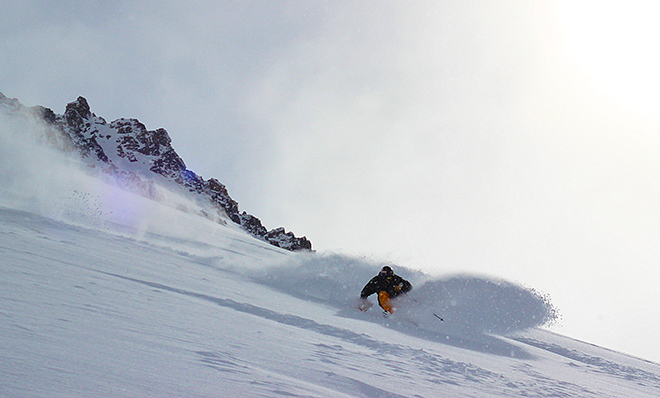 “Overall the upgrade increases the capacity of The Remarkables by 40% which is good news for not only the ski industry but for all the businesses in Queenstown and the Southern Lakes that directly benefit as a result,” he said.